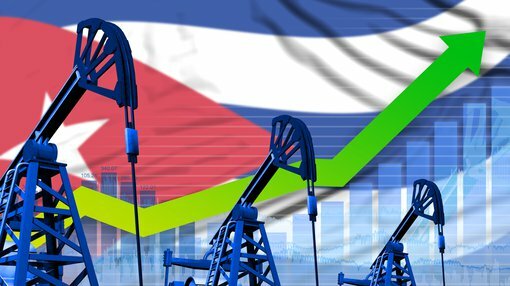 Cuban national oil company Cubapertoleo, or Cupet, has made a significant discovery of lighter than typical crude oil in an exploration well drilled on the Bacuranao prospect in Cuba. This new light oil discovery in the northern part of Cuba’s western region is big news for Melbana Energy (ASX:MAY), which has assets located in the same in proven hydrocarbon system. The Bacuranao discovery is in the northern fold belt trend that continues into MAY’s 100%-owned onshore Block 9 and is in close proximity to the Santa Cruz oil field, for which MAY is currently in exclusive negotiations to finalise an incremental oil recovery contract. Cupet’s Bacuranao discovery was made late in 2017 and has been undergoing long term testing for 10 months. Cupet reported that the oil produced from the field has a density of 22° API, which is the highest quality oil discovered in the area and is encouraging for other nearby oil explorers. Below is the Bacuranao Discovery mapped out, along with MAY’s Block 9 onshore block in the proven hydrocarbon system and its Santa Cruz oil field, for which MAY has exclusive right to assess enhancement of oil production. May's Block 9 is on trend with existing oil fields. Cuba has been a highly promising region for hydro carbon exploration. Oil continues to be found in new locations in Cuba with the offhanded view that, “oil is everywhere”. The country has a long history of foreign oil companies operating profitably, yet the region remains underexplored and much of the exploration undertaken in the past has not had the benefit of the application of modern exploration techniques. Helping to fast track exploration is strong government support for the oil industry which produces half of Cuba’s domestic needs. The government has applied a tax rate of just 15-22.5% and an eight year tax holiday for oil companies. Adding to the upside, while there’s a perception that most Cuban oil is very heavy, the recent Cupet discovery shows that lighter oil can be found, which is what Melbana is chasing in Block 9. MAY’s prospective resources at Block 9 was assessed by technical expert, McDaniel & Associates, who have significant Cuban experience certifying reserves for TSX-listed Sherritt International. For Block 9, the assessment identified an increase in best estimate Oil in Place of 24% to more than 15.7 billion barrels, and an increase of recoverable Prospective Resources of 13% to 718 million barrels of oil equivalent from three prospects and 16 leads. The assessment included a 17% increase in the aggregate of best estimate prospective resources to 236 million barrels of oil from the four targeted objectives contained within MAY’s preferred initial two well program of Alameda and Zapato. Cuban regulatory authorities have now provided environmental approval for the Zapato exploration well, which is the proposed second well in MAY’s Block 9 drilling program, meaning that both of the first two proposed wells now have environmental approval. On November 1, MAY provided an encouraging progress update outlining its progress with Anhui Guangda Mining Investment Co Ltd (AGMI) to progress to a binding agreement to farm into Block 9, which is on track to be finalised in December. AGMI is a private company with assets in excess of US$1 billion and produces over 6000 barrels/day. It has operations through more than 13 exploration and exploitation blocks in Kyrgyzstan and in areas of the Americas, while looking to expand its exploration and production business to other countries and regions. AGMI has developed strategic business relationships with major state-owned Chinese companies such as CNPC, Sinopec, and CNOOC. Under the terms of the farm-out, AGMI will fully fund all costs in Block 9 for the duration of the PSC, including all exploration, appraisal and development wells, and any facilities development costs. It includes a minimum commitment to drill three exploration wells on MAY's preferred targets in Block 9, chasing over 270 million barrels of oil (best estimate, unrisked basis). AGMI exploration wells will drill MAY’s three highest priority targets. These targets have a combined best estimate prospective resources of 270 million barrels of oil. In return, MAY will receive 12.5% of the profit oil under the Block 9 production sharing contract. MAY is also making progress with its plan for the first well to be drilled in Block 9 as Cuban regulatory authorities have provided environmental approval for its Zapato exploration well — the proposed second well in its Block 9 drilling program. The company is well positioned with an early advantage into the Cuba energy sector, having demonstrated world class exploration potential for Cuba Block 8. Another opportunity for MAY is the Santa Cruz oil field that’s in close proximity to the Bacuranao discovery, and for which, as mentioned, MAY is in exclusive negotiations to finalise a long term incremental oil recovery (IOR) contract with Cupet. IOR projects are lower risk and sought after by oil industry, having proven oil flow and production history, typically have more geological data available, and with existing processing facilities, there’s a faster path to production for each barrel. For IOR projects, such as Santa Cruz, any production over the base is shared. The base Production is agreed before field work commences and is retained by owner. Any extra production is earnt by MAY and shared under terms of the contract. That production could come from surface or downhole equipment or facility upgrades, re-working existing wells, side tracking from existing wells, or from new wells accessing new oil pools. Discovered in 2004, initial estimates were for 100 million barrels of recoverable oil from the Santa Cruz oil field. By 2012, total production was 7.4 million barrels from 18 wells. Geoscience technical study work is progressing and MAY is targeting a final commercial agreement next month. Interestingly, the company was up 13% today following the recent publication of a research report and an article by Next Oil Rush.